Rocks, brush, trees, and heavily vegetated terrain are difficult to search by any means and particularly in the Spring and Summer in eastern Oklahoma, Arkansas, and Missouri. Horse back offers the most effective means to cover large areas. MSAR, mounted search and rescue, frequently uses volunteers who provide their time, equipment, and horses free of charge to render aid to their fellow-man. Searching wooded areas in rocky, hilly parks and recreational areas is hard work, but mounted patrol riders put in the long hours knowing full well the rewards in uniting a frantic mother with a lost child or locating an Alzheimer’s patient who wandered away. For Oklahoma residents, there are a number of these units ready to pull out on a moments notice. 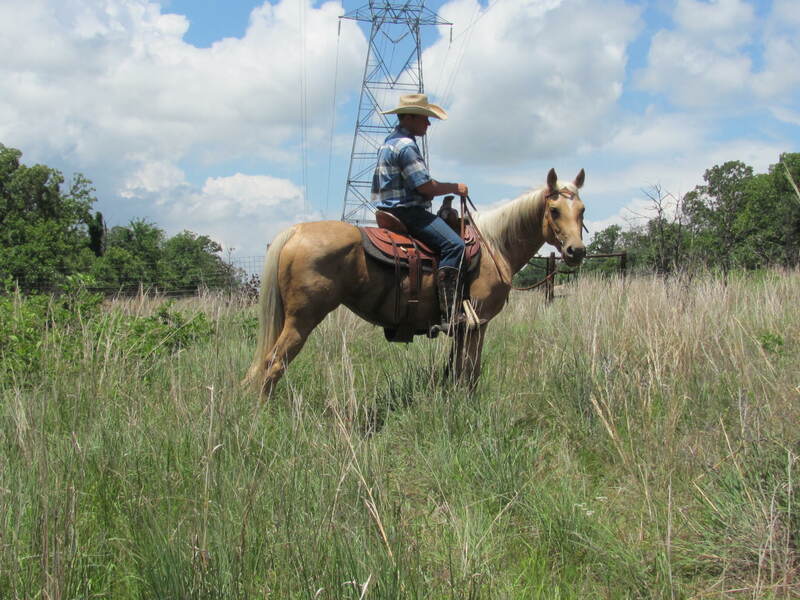 One unit near us, the Rogers County Mounted Patrol is expanding the volunteer force and actively seeking qualified horses and their riders willing to help out in times of need. If you are interested in what it takes to be part of a MSAR, mounted patrol search and rescue unit, contact the Rogers Co. Sheriff’s Department. Is Mounted Unit work for you? Do you want to enjoy your equestrian passion while contributing to your community? That thought was how my husband and I became actively involved in volunteer mounted patrol work. Our local Sheriff’s department had a Mounted Unit and we could proudly serve with our own horses if we met the membership criteria. There were several criteria to be met, including an initial interview and background check. Of course the horses had their own testing as well. Fortunately, we had quiet, well-behaved horses that would be an asset to the unit. Each unit has their own testing criteria, but most include demonstrating equitation, obstacle maneuvers, public demeanor, and horsemanship skills. If the criterion were met, then a commitment would be made to participate in regular training and support Law enforcement and Search and Rescue activities. Training consisted of formation riding, sensory and obstacle control, basic search and rescue techniques, crowd control, police equitation, arrest techniques, situation control, vehicle extrication, and fireworks and night maneuvers. Further, scenario training included simulated real life events such as containing protesters, search and rescue situations, and VIP escorts. Each member puts in numerous hours of individual training on their horse to prepare them for patrol. Service and duties vary from patrol to patrol, but typically the Mounted Unit devotes many hours to traffic and crowd control, patrolling parks, concerts, fairs, festivals, and other public relation events, as well as participation in parades and park & pets (where the horse needs to stand calmly as children run around and sometimes crowd the horse to get their pets in). In addition to the regular duties and community service, some mounted unit members participate in mounted police competitions held throughout each state and internationally. Competitions act as a form of training, networking with other Mounted Police Units, and a means of sharing strategies, methods and skills in the challenges of mounted work. The general equestrian public typically take trail rides through a park, but one of my favorite ‘trail’ rides was riding down the center of my town on my horse, looking for new experiences and stopping to let the kids pet my horse. If you have a sense of ‘oh that would be fun’ then you’d be a great candidate for your local mounted patrol! My husband and I were proud to serve our community. Most people were excited to pet our horses and talk to the mounted police – in contrast you don’t normally see kids excited to walk up to a patrol car and try to pet it! Mounted units provide a great way to make a positive connection within the community. Personally, I’m privileged to have belonged to a Mounted Unit and enjoyed my passion for horseback riding while giving back to my community. You may still see me riding down the city streets of my town! The mounted unit provides training from which every horseman could benefit. Their training was the framework towards developing our equine partnership. We had great success in police horse competitions and were frequently asked how we trained our horses. 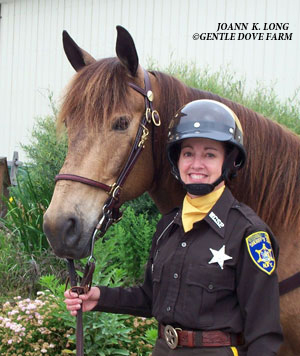 From those inquiries, Gentle Dove Farm was born – to teach the general equestrian public mounted police style training. We encourage partnership, communication, and exceptional trust mounted police style! If you’d like to know more, please visit www.GentleDoveFarm.com! The Rogers Co. 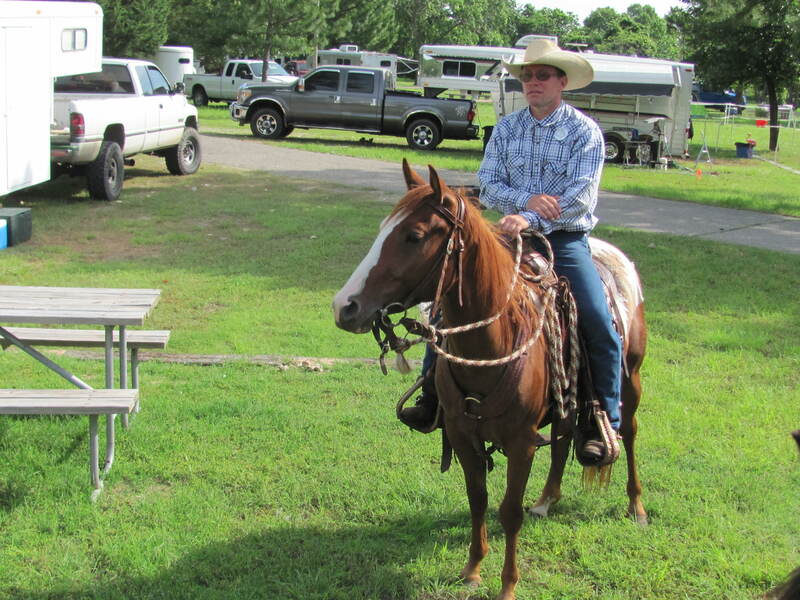 Mounted Patrol, whose focus is primarily search and rescue operations, has big plans for 2014. Rogers Co. Sheriff, Scott Walton and Deputy, Coy Jennings, are about to announce the plans for 2014 for the mounted patrol. One objective that can be disclosed is the goal to increase the number of volunteers qualified to participate. Both Walton and Jennings feel strongly that active community participation with the Sheriff’s department brings all types of benefits to the community, helping make Rogers County a better place to live. Wisely, Sheriff Walton and Deputy Jennings recognize mounted search and rescue (“MSAR”) is an efficient way to find lost and missing people. By using community volunteers, the Sheriff’s department can leverage its resources in emergency situations by involving the local citizens. After all, more ground can be quickly covered by horseback than any other means, especially when you consider both horse and rider have the ability to hear and smell. Unlike searches by plane, patrol units can listen for cries for help and offer assistance. Mounted patrol can also investigate brushy and areas hard to see from the air. The plans are underway and just as soon as we are authorized, the events will be posted. If you would like to assist in the mounted patrol, you can contact Coy Jennings at the Rogers County Sheriff’s Department 918-923-4477. 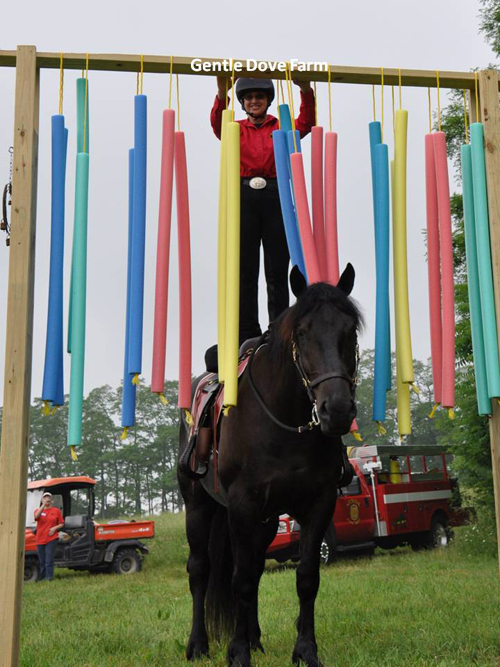 Joann Long notified us Gentle Dove Farm has scheduled an obstacle clinic to be held Saturday, July 19, 2014, with an emphasis on mounted police training techniques. Designed to teach and instill confidence in both horse and rider, Ms. Long is a certified instructor who believes strongly in the benefits the training provides. Police mounts obviously require calm natures, discipline, and sound physical and mental health. For more information, contact Joann at 585-738-7477. Search and rescue volunteers need a lot of time on the trail to develop the skills for the job. In today’s world, horse training just like every other profession has become very specialized. People that show want someone who has an interest and the ability to train for the ring. Cutting horse trainers are expected to bring out those talents needed for the horse to be competitive; and so it goes. Every discipline demands that trainers spend nearly all their time working towards a few specific goals. Unfortunately, the end result are horses very good at a few select tasks and functionally illiterate for any other activity. Search and rescue operations requires riding in situations not always familiar to the specially trained horses from various disciplines. If a dressage rider decides to volunteer to help search for a lost child, it only impairs the effort if the horse and rider are not ready for the environment. Brush, rocks, and wildlife may cause anxiety for a horse that spent the last five years in the show ring. Other specially trained and advanced horses may not be ready for the trail. Has the competition horse trained to run barrels ever crossed a creek? Has he crossed one with saddle bags banging his sides as his feet slip on the mossy rocks underneath? Is the combination of the slippery surface and the saddle bags beating his flanks going to end up with a wreck? It is far better to find out these types of things before an actual SAR is under way. These are the intangibles that just can’t be taught from a book or classroom setting. 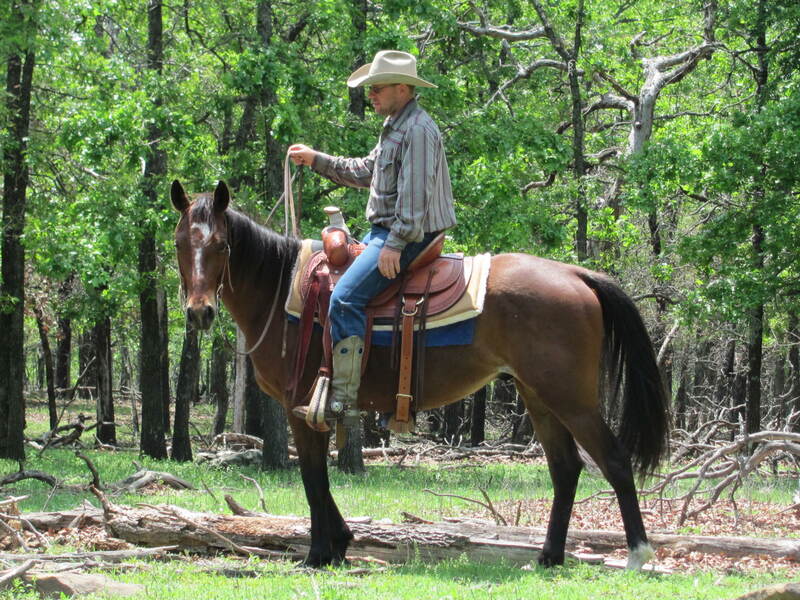 Trail riding also works a horse and rider much differently than eventing, reining, or most other disciplines. In many equine activities, the horse is finished in an hour, two at most. Often there are breaks in between sessions and the horse can stand and regain some composure. Trail horses start early and work late. There’s not a five-minute competition that ends with them being led back to a stall. Trail horses figure out really fast that the day can be long so conserving energy is important. Don’t get us wrong, all disciplines and riders should be welcome to participate, we simply suggest some day long, or even weekend long rides will give some much-needed experience to volunteers who may not recognize how 10 hours in the saddle feels.This doesn’t mean a show horse or a rider from another discipline can’t be useful to search and rescue operations. It does mean they both need some “real-time” on the trail to develop the skills necessary. Search and rescue members, (not just the horses) need time together on trail rides. Time together on the trails allows the search and rescue volunteers the opportunity to see how their fellow members handle situations with their horse. If asked to pair off with someone and ride a given area, the last thing we want to find is our team member on the ground because their horse acted up. If so, the unit is out of commission with a downed rider and most likely other units will be called away from the search to attend to the hurt volunteer. Before heading off for a MSAR, we like to know the abilities, skills, nerves, and readiness of the people in the unit. For instance, is the co-volunteer going to have his own water? Has he been “turned around” (lost) in the woods himself? Does he understand he might be leading his horse back to the trailer with some unexpected injury? 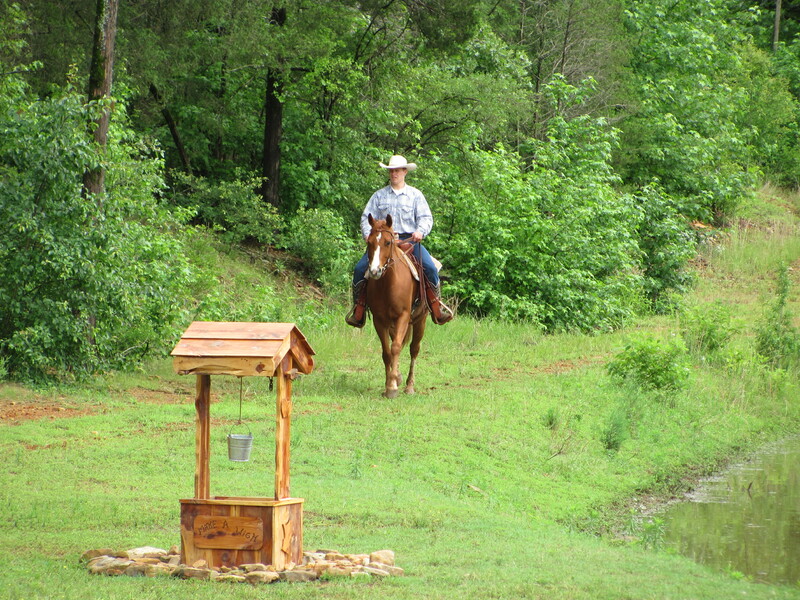 Has he trail ridden enough to know that water for his horse isn’t always available? 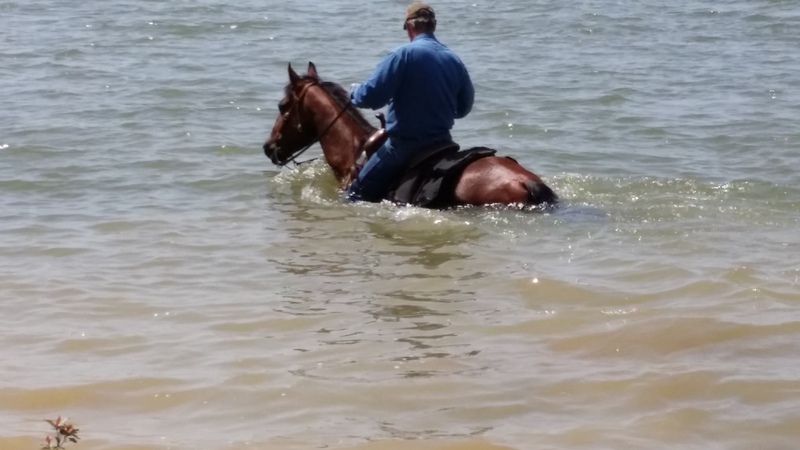 We’ve seen MSAR’s where water wasn’t there for the horses. It’s definitely not the preferred way to treat working horses in the hot sun. 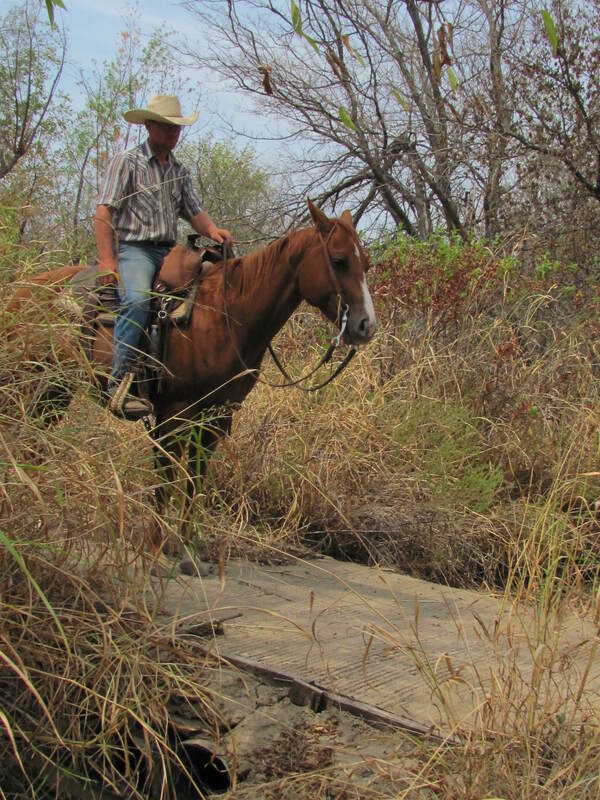 Trail riding is about as close to “search and rescue” as any activity you can engage using a horse to simulate and teach what will likely be encountered. If you intend to participate in a MSAR group, make sure your team is familiar and ready for the task at hand. Not simply communications training and operational skills, but the challenges that come with riding in the brush for a couple of days at a time. You are currently browsing the archives for the Mounted Rescue Patrol category.